Leading the way to uncompromised user safety. XSPlatforms has always challenged conventional fall protection systems by being first to market innovations that surpass both safety standards and client expectations. For us, innovation is about the bigger picture. It’s about the needs of clients, suppliers and users. XSPlatforms develops unique safety solutions that effectively deal with risks which have been taken for granted for far too long. The prime examples outlined on this page are the result of a can-do attitude combined with substantial design & engineering capabilities. The shock that a user is exposed to when his fall is arrested by a lifeline system can cause serious injuries. When triggered, conventional absorption mechanisms absorb the shock on the body of the user by extending the stretch of the lifeline, thereby transferring the forces released by the fall to the points where the system is anchored in the structure. The award-winning XSBending kit is a cylindrical component that is applied to the base plates of the lifeline system, that bends in the direction of the fall to absorb the shock. This way, the XSBending kit protects users and at the same time prevents damage to the surface of the roof at the points where the system is anchored. 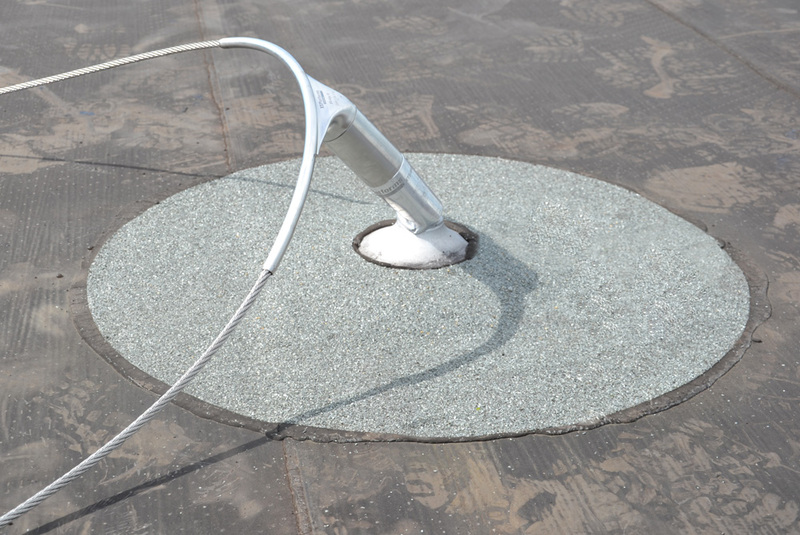 By reducing the forces transferred to the anchor, the XSBending kit can be used to increase the absorption of lifeline systems on fragile roof structures. It is particularly useful in situations where extending the stretch of the lifeline is not an option due to the limited fall height. This unique reaction mechanism was pioneered by XSPlatforms. Originated from the belief that a situation where users have to disconnect from the lifeline every time they must pass each other is unacceptable, LinkedPro is the first multi-cable lifeline system on the market. Consisting of modular components that can be combined in different compositions, LinkedPro allows multiple users to efficiently work together in any situation. A LinkedPro system can be applied on roofs, on walls, or as an overhead system. XSPlatforms is the first manufacturer to recognize the risk of users disconnecting from the lifeline in an unsafe zone, and to offer a solution that provides absolute safety to multiple users without compromising safety in any way. Years ago, XSPlatforms introduced an innovation that was way ahead of its time: anchor points that are installed from above, on top of the insulation material. 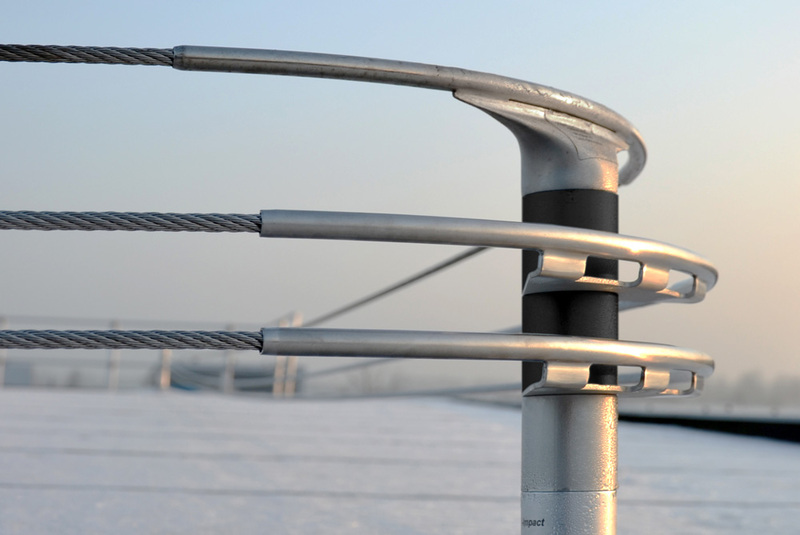 Reinventing anchor points has earned us a spot at the forefront of the industry. 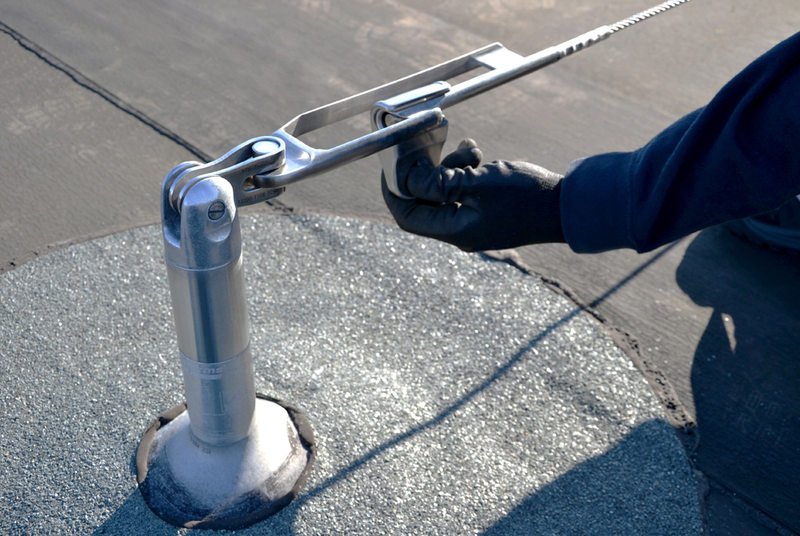 Never before was it possible to install a secure anchor point with a single penetration of the roof surface. Securely connecting a user’s Personal Protective Equipment to the lifeline, a slider follows the user as he moves along the along the lifeline trajectory. All XSPlatforms sliders are designed to easily move through the bends and the corners of the lifeline. The safety provided by a lifeline system depends greatly on the level of knowledge that each particular user has. A standard lifeline solution cannot offer protection for users misusing the system, because the sliders can be disconnected at any point. The unique XSSlider Pro (patent pending) can only be disconnected from the lifeline in a safe zone, thanks to the unique XSPoint access system. This way, the level of safety provided by a lifeline solution is less dependent its correct usage. 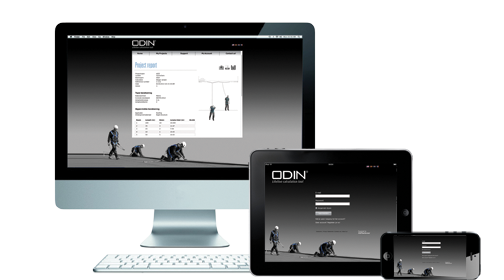 With the ODIN lifeline calculation tool, the people responsible for the performance of a lifeline system no longer have to rely on manual calculations made by their fall protection supplier. Instead, suppliers use ODIN to verify that their configuration of an XSPlatforms lifeline is safe and compliant with the applicable standards. ODIN is able to calculate the performance of a specific lifeline configuration, based on the test data that XSPlatforms has collected. XSPlatforms is the only manufacturer in the industry that has automated the calculation of its lifeline solutions. This way, we ensure that user safety is never compromised. Partners of XSPlatforms are trained to use ODIN for the calculation of a lifeline, and will always add an ODIN calculation report to their quotations. Clients can always fall back on an ODIN report to prove that the lifeline system on their building performs adequately, if they are held accountable for a fall accident.